The Preventative Care Center at the Metropolitan Campus of Cuyahoga Community College (Tri-C®) will reopen for spring semester on Jan. 22. The care center provides low-cost health care services to uninsured or underinsured adults while giving Tri-C health career students valuable learning and training opportunities in a clinical setting. The center will be open 2-5 p.m. Tuesdays and Thursdays, Jan. 22 through April 25. It is located in room 105 of the Health Careers and Sciences building at Metro Campus, 2900 Community College Ave. in Cleveland. The center is staffed by students studying to be medical assistants, physical therapy assistants, occupational therapy assistants and dietetic technicians. The students work under the supervision of licensed or certified health care providers. Services offered at the center include blood pressure readings; glucose and cholesterol screenings; physical therapy and occupational therapy; physical rehabilitation for daily living; pain management; bone density screenings; nutritional coaching; stress management; and exercise and education programs. No physician referral is needed for an appointment. To schedule a visit or find out about special health-related workshops, call 216-987-3555. 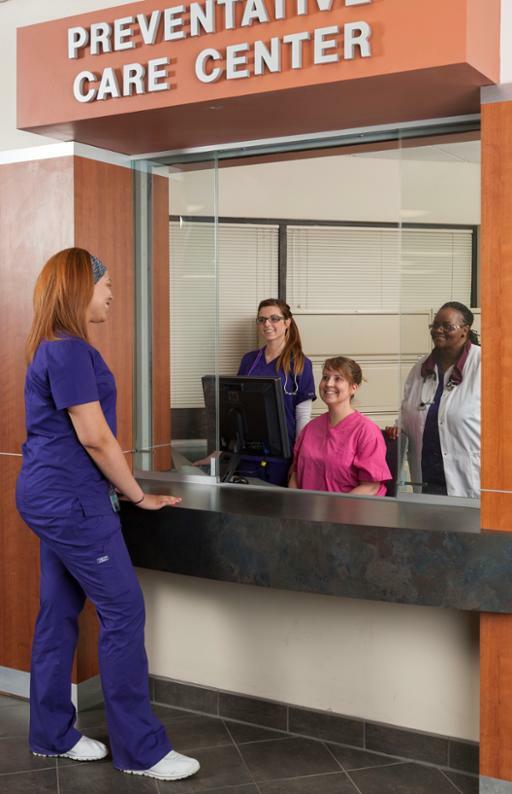 The Preventative Care Center at Metro Campus serves as a key part of Tri-C’s allied health career programs. More than 4,000 appointments have been booked since the center opened in 2009.